Oh and there was a whole drawer full too! 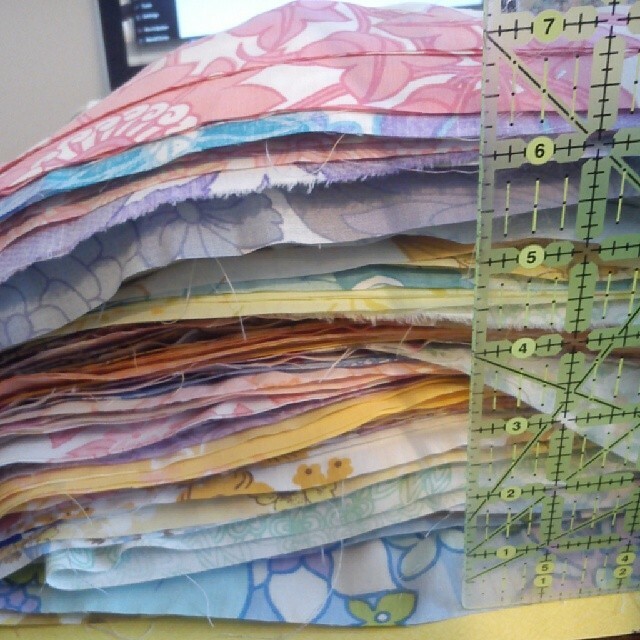 So I decided that the most efficient and economical thing to do would be to make a string quilt. At which point I had to decide how big to make the top and how many more blocks I needed. 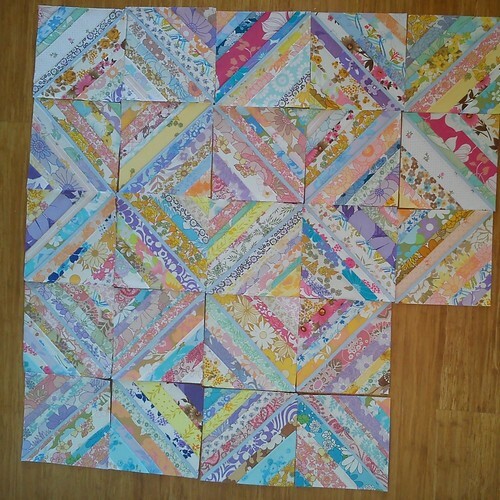 I decided on a layout of 7 x 6 blocks (total 42). I’m not sure what the pirate was up to, maybe he was in awe of the beauty he saw! But anyway the top is finished which was my aim so I’m rather delighted. 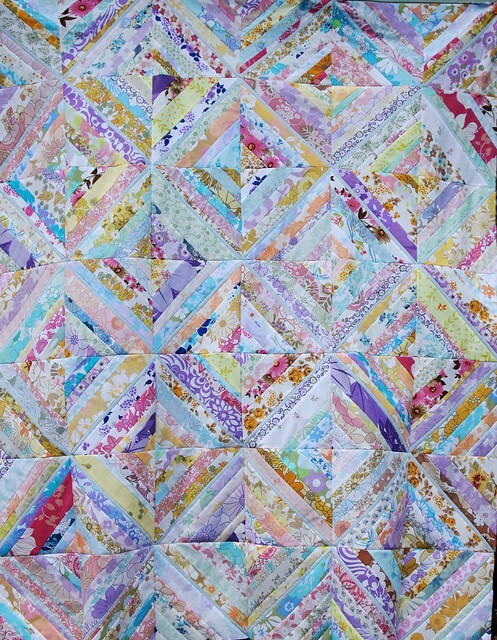 It was great to sew together, I randomly pulled strips, there was no planning of any of the blocks and minimal planning to the layout. 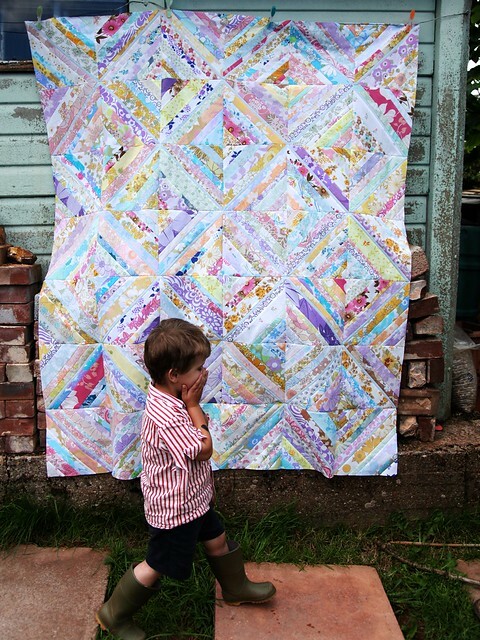 I’ve put some packs of strips for sale in my etsy shop so you can make your own, the listing suggests a minimum of 21 different prints in each pack but I think there must be 40 in this quilt top (I used approximately 1 1/2 packs to make this top). 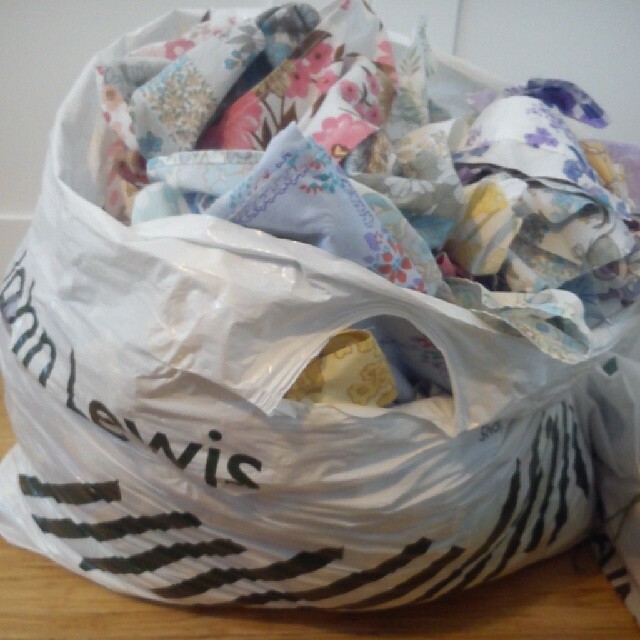 So another goal complete and there appears to be no less fabric in my stack of vintage sheet offcuts! Now there is the small matter of basting, quilting and binding! It’s gorgeous Mary! 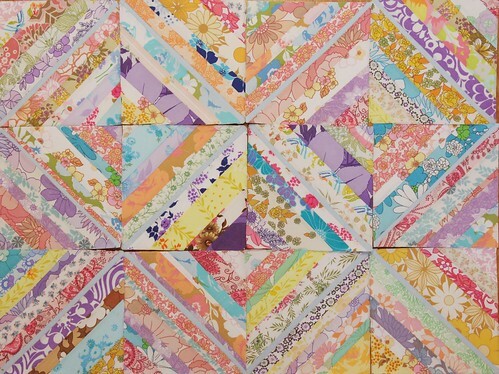 I still have tons of vintage left evevn after making all those blocks for my mums quilt. Oh well done, you’ve done so much this month to get this far! Strings and squares are my favourite, most relaxing things to sew. It looks great! this is gorgeous! 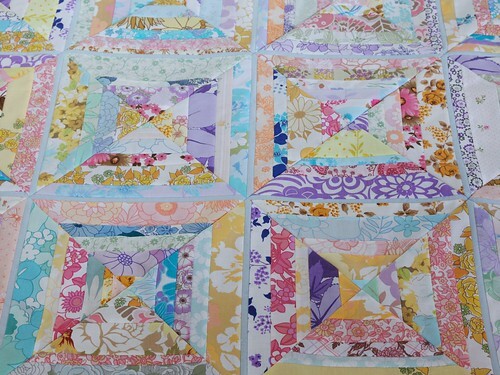 I’ve always been reluctant to do vintage sheet quilts with anything other than squares so I get the beauty of the whole pattern but these look fab even though you can’t see a big chunk of any design! So lovely! Strings are so effective! Just catching up on everything, loving this, and the photo bombing pirate! I love the subtle effects with strings. Sometimes vintage are anything but subtle (if I remember rightly). absolutely fab. 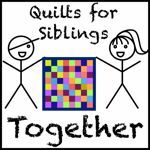 Fabulous quilt top, a great use of strings.